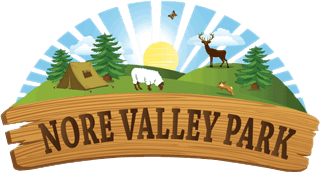 Choose to come to Nore Valley Park for Halloween and enjoy a family day of fun! This Halloween season you can pick your own pumpkin from our pumpkin patch as part of normal farm entry; we are offering one free pumpkin per family. Get creative and carve your pumpkin on the farm, or you can try your hand at making a Scarecrow! We will provide all the materials you need to get crafty. Just turn up to our Reception during pumpkin picking season to enjoy all the fun of the farm, with the added bonus of picking pumpkins and making scarecrows! On specific evenings we have our popular annual Halloween activities, including a torchlight treasure hunt, scare maze, and bonfire with toasted marshmallows! These activities must be booked online and are only available on Friday 26 October, Monday 29 October, Tuesday 30 October and Wednesday 31 October 2018, starting from 7pm each evening. For pumpkin picking or Halloween enquiries please call 056 772 7747. Campers who are staying on our campsite over the bank holiday weekend are invited to attend our exclusive Campers Halloween Event on Saturday 27 October – there is no need to book online if you are camping, and day visitors need not attend on the Saturday. For all camping enquires please call 056 772 7229.